Guilds of Ravnica spoilers march on, and everyone is having a grand ol’ time with what we’re seeing each day. No question that the top card of the set so far is Assassin’s Trophy, the new Abrupt Decay that destroys any permanent (then gives back via Path to Exile). Expect to see the ripples of Trophy in every format beyond Standard. Modern, Legacy, EDH, cube, and possibly even Vintage will have cause to care about an unconditional two-mana removal spell that gets rid of absolutely anything. Time to pick up a few more copies of your favorite basics, because every deck is going to need a few extra in the new Trophy meta. Of all the cards we could have anticipated would carry a $100 foil price tag coming out of Scars of Mirrodin, I don’t think Blackcleave Cliffs was anyone’s first pick. Why would it have been? BR lands have long been in the lowest tier of lands, along with WR and maybe WB. This, despite BR being a relatively common color pairing in major formats. For the longest time in Modern, Esper fetches and shocks were more expensive than their Jund counterparts, despite seeing appreciable less play. Of the Kaladesh fastlands, Spirebluff Canal is best poised to become the new Blackcleave Cliffs. 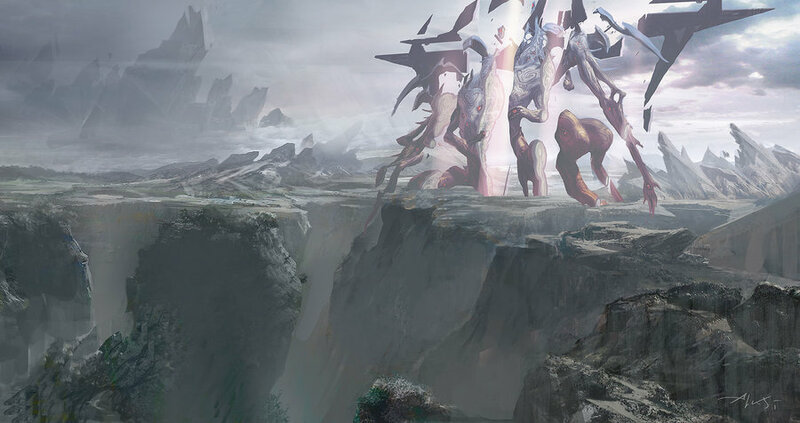 UR has long been a powerhouse combo, whether as a standalone, as a component of Jeskai, one of the most popular wedges of competitive Magic, or Grixis, a long-standing fan favorite. There won’t be a Modern event in which you can reasonably expect not to sit across from a Spirebluff Canal ever again. Pack foils are available in the $12 range, but not many. And there aren’t many in stock in general. These will be $25, probably this year, and it won’t’ take long before they crest $30. As the reserve list continues to be a popular target for accelerated financial action, we want to keep an eye out for anything that seems underpriced given its utility value. There’s plenty of stuff that’s cheap but is unplayable; we want to find the cards that actually have a reason to be put into play in a normal game of Magic. Enter Winding Canyons. Winding Canyons is “only” in about 3,500 decks, but that doesn’t concern me in the slightest. First, many players aren’t aware of the card. It’s from Weatherlight, and lacks some of the name brand recognition of other cards, so there isn’t quite as much brand value. Second, it’s not cheap. At $23 or so, a lot of players that would like a copy are getting priced out. Does that sound weird for EDH? While there’s no question that many cards are expensive solely because of EDH demand, the truth of the matter is that the lion’s share of players putting decks together simply aren’t going to fork over hundreds of dollars for each new commander they put together. It’s a silent majority type of thing. Winding Canyons has a similar supply distribution to foil Spirebluffs. Roughly 30 copies on TCGPlayer, a quick ramp from the initial price, and a stiff breeze away from doubling in price. It wouldn’t be a Watchtower without looking at EDH enough. Beastmaster Ascension is a green enchantment that lets you permanently +5/+5 your team — and not just the ones in play now, but any that you play later. In Standard, this was two mana too many to see competitive play, and it was tough to both turn on and then continue to get value out of. All the numbers change in EDH, where you can easily cast Ascension and then immediately swing with seven creatures, activating it in the same turn, and having a brutal army. Those 20 or 30 1/1s, which were overall not particularly threatening, are suddenly dealing lethal to everyone at the table at once. If this sounds like some crap nobody cares about, think again. Beastmaster Ascension is the second-most popular green enchantment, behind only Sylvan Library. You’ll find this bad boy in nearly 17,000 decks. If you’re playing green (who isn’t) and you’re attacking (most are), this is in your list. While there are five or six printings of Ascension, there’s still only the original pack foil. They can put this in Commander products until the end of time, but without another foil printing, this is going to keep climbing. Supply is also quite shallow. Grabbing these at $10 today is sure to payoff within three to eighteen months.